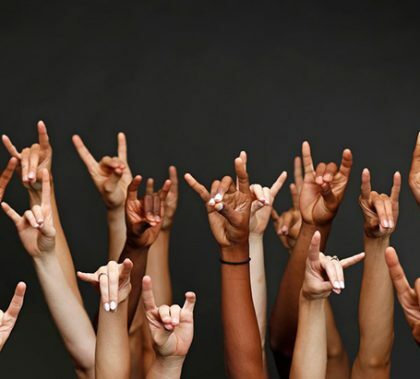 Grand Canyon University’s approach to diversity starts with its Christian mission and is demonstrated in a variety of ways, starting with making tuition affordable. The key is that it happens organically. “Yes, diversity means dialogue. But for us it also means, ‘How do you really help the people around you, how do you have real impact – not just for today, but for generations? '” said Dr. Antoinette Farmer-Thompson, chair of GCU’s Diversity Council. The August issue of GCU Magazine, available here, features two in-depth looks into two important issues at Grand Canyon University: the recently completed transition back to nonprofit status, and the importance of diversity on campus. Also featured are stories on women’s basketball coach Nicole Powell, who recently was inducted into the National Federation of State High School Associations Hall of Fame, and on a group of Phoenix-area firefighters who are former Grand Canyon baseball players. 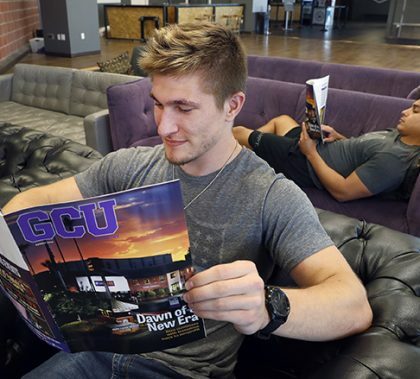 And you can get an inside look at campus trends and developments with the annual GCU INsider. The Chapel schedule for the fall semester includes six first-time speakers, most notably Joni Eareckson Tada, who operates a ministry for the disabled, and Mark Moore of Christ’s Church of the Valley. 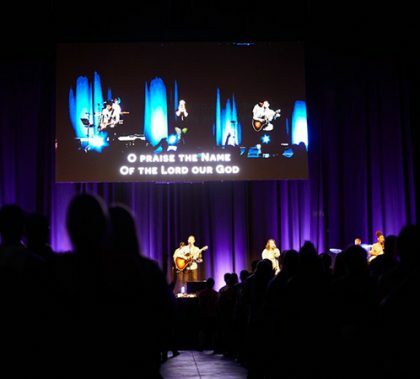 GCU President Brian Mueller will be the speaker, as usual, for the first Chapel of the semester Aug. 27. This week’s guest writer, Chris Jennings, cites a well-known verse from the Old Testament and explains what it means in today’s world. We must always be cognizant of God’s plan in our lives, no matter what our difficulties are. In this week’s edition of Theology Thursday, Pastor Jim Miller discusses what it means to “walk alongside each other” as we try to navigate this life. He believes that walking the walk starts with being totally open and truly knowing each other. 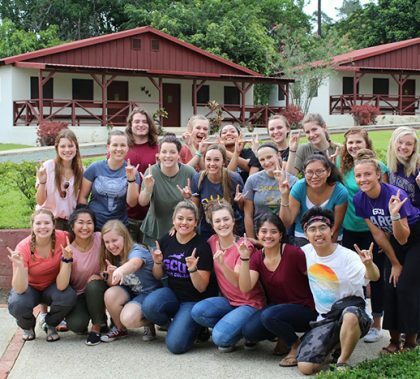 A group of Honors College students had high hopes of worship and career development on a mission trip to the Dominican Republic. The students hit their expected goals. But what enlightened them to the core was what they didn’t expect — love. Contemporary Christian music artist David Crowder said that early in his music career all he wanted to do was not mess everything up. But now the multiple Grammy nominee said he hopes his music conveys words that really make an impact on people. 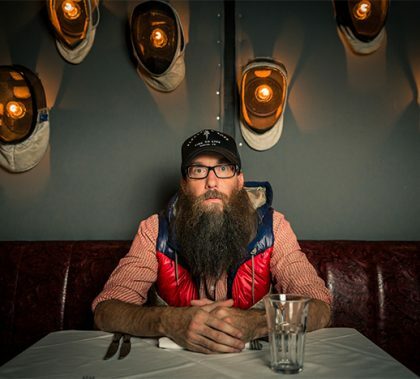 Crowder, who is on his “American Prodigal 3.0” tour, will bring what he calls his “folktronica” sound to GCU Arena on Sunday, April 8. Riccardo Stewart said he found it odd, upon becoming a Christian, that he never saw diversity in church gatherings. He finds it sad that he still doesn’t see much diversity today — and he’s determined to change it. 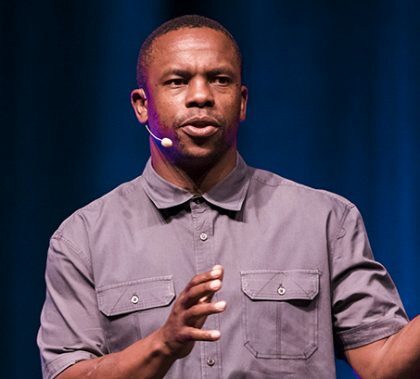 “God’s promise to us is never that He saves us individually so we can be with people just like us,” he told Chapel on Monday.